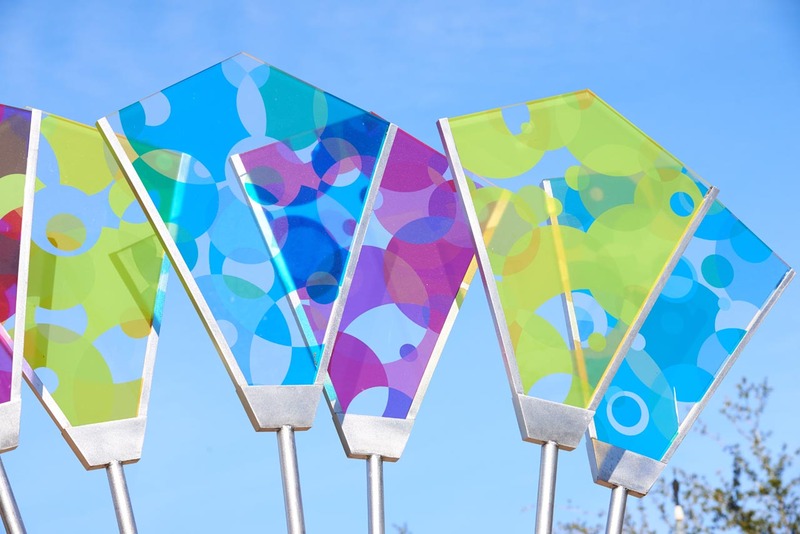 Foushee created a welcoming sculpture that reflects the paddles seen on the lake while adding a pop of color to the entrance of the park. 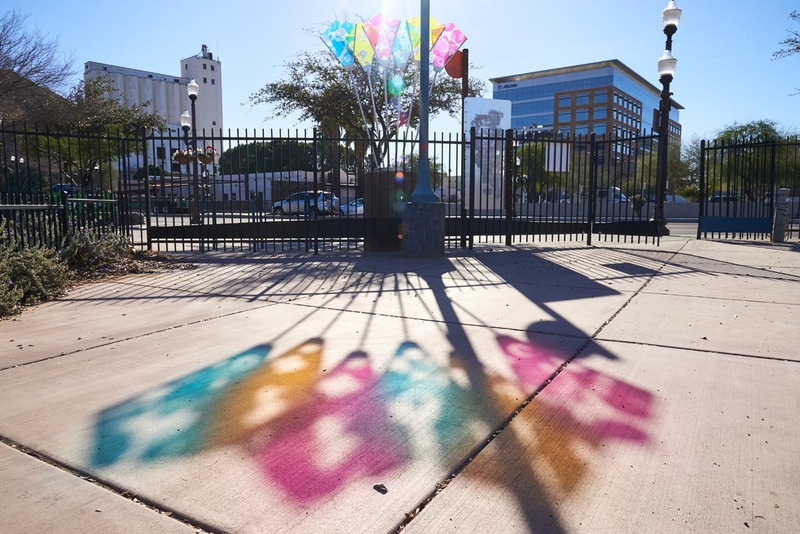 The installation is a site-specific sculpture made of steel with the addition of colorful, transparent petals that transform the area when light shines through them. As the petals reflect on to the ground below, the colors mix and create a new palette. Throughout the day the different lighting situations create new possibilities for the experience of the site. Danielle Foushée is an artist/designer and Assistant Professor of Visual Communication Design at Arizona State University. She received her first MFA in Design at Cranbrook Academy of Art, and recently completed another MFA in Visual Studies at Pacific Northwest College of Art. Danielle’s current work involves public art, placemaking, and biophilia. Public projects include commissions from Storefronts Seattle at Amazon HQ, Seattle City Parks, and the City of Bellevue, Washington. 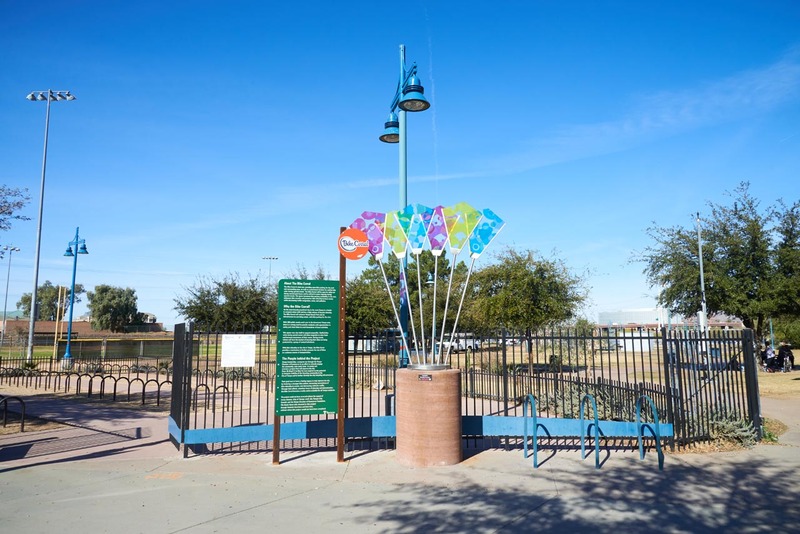 This project was funded through the City of Tempe Municipal Arts Fund with the support of the Tempe Arts and Culture Commission.